A professional quality shell pack with exceptional durability. 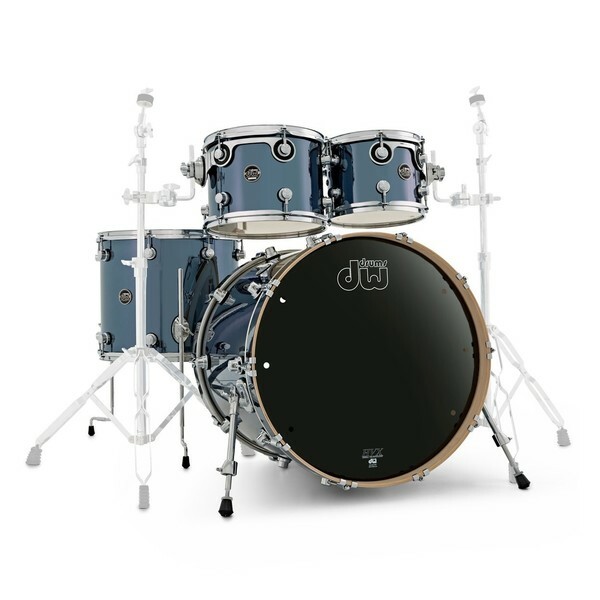 The DW Drums Performance 22'' 4pc Shell Pack includes a bass drum, two racks toms and a floor tom. Featuring 8-ply maple HVX shells which deliver a low, punchy sound with heavy projection to stand out in live applications. 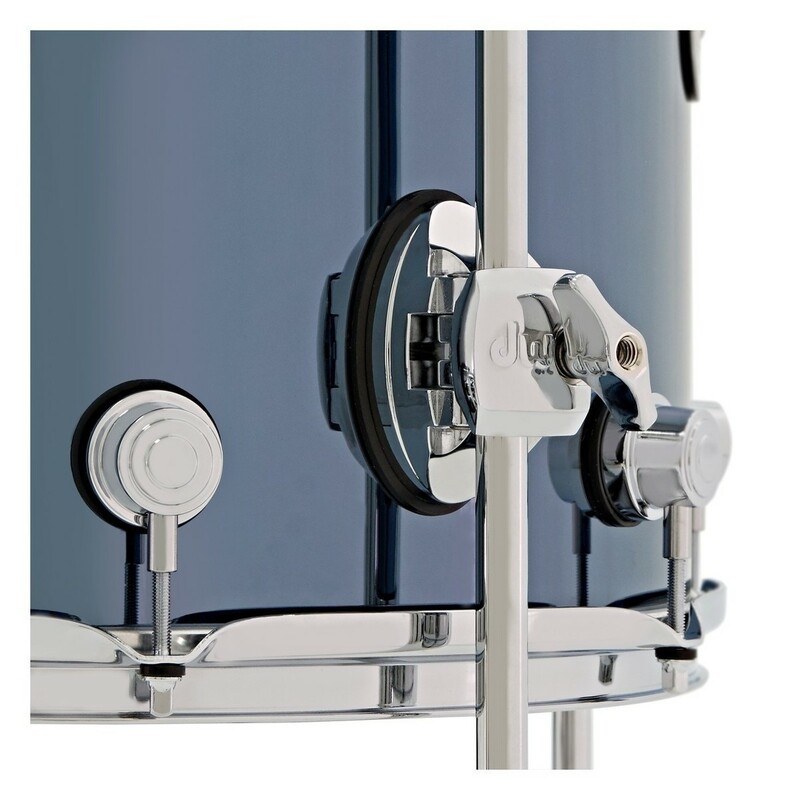 The True-Pitch rod system features 5mm threads rather than the standard 12/24 in most other drums. This results in quicker and more accurate tuning, providing you with the best sound quality as possible. 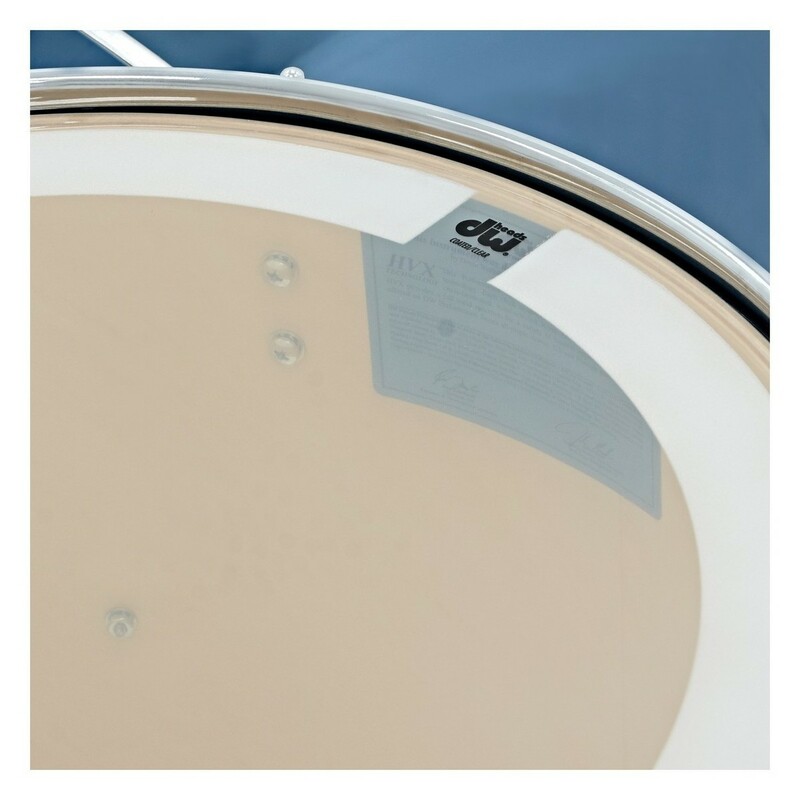 DW's patented suspension tom mount (STM) allows the drums to vibrate freely, providing maximum resonance while holding the drum in place securely. With all chrome hardware and exclusive 21'' chrome-plated steel floor tom legs, the Performance shell pack provides exceptional stability and durability, providing long lasting professionalism. 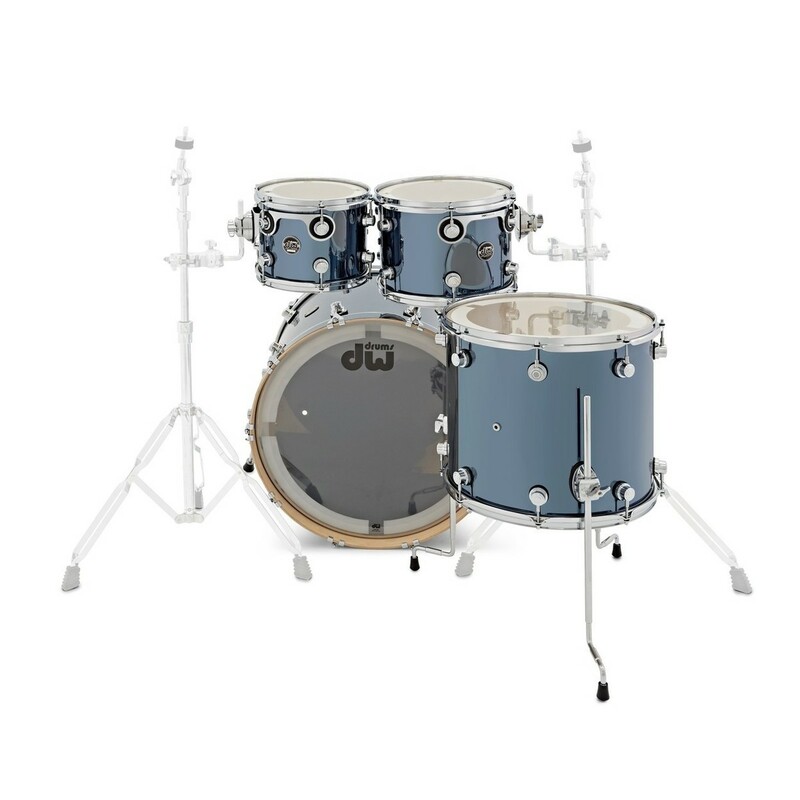 This shell pack features 8-ply 10'' x 8'' and 12'' x 9'' rack toms, an 8-ply 16'' x 14'' floor tom and a 22'' x 18'' kick drum. When tuned low/medium these shells are ideal for rock, pop and a wide range of other musical genres. When tuned up a bit tighter the HVX shells handle the sharp jazz sound with ease. The DW Performance Drums feature a brand-new shell technology devised by John Good and the DW Custom Shell Shop in California. 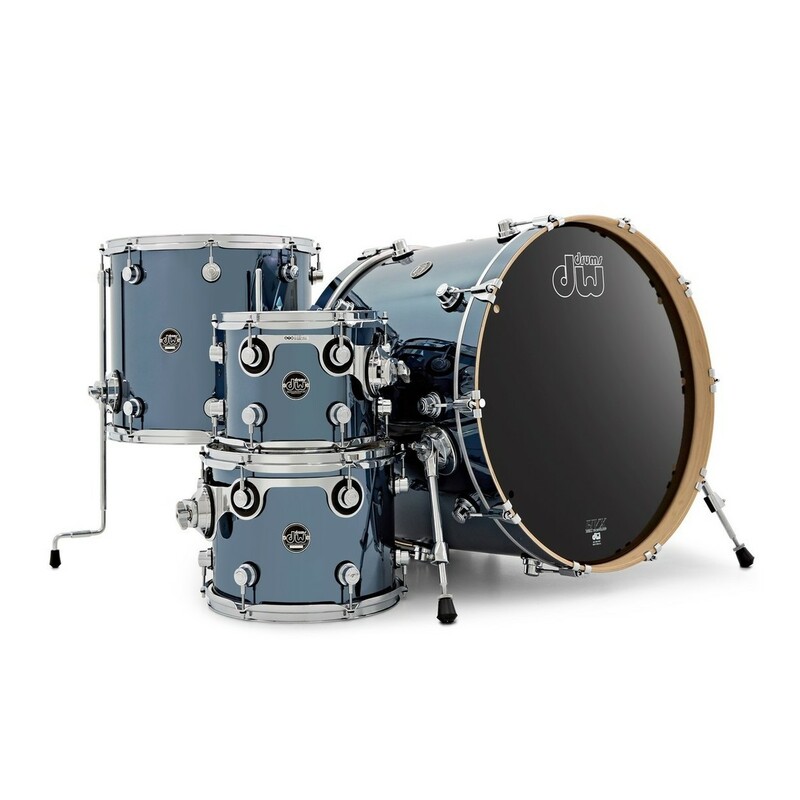 DW takes hand-selected North American Hard Rock Maple and uses the latest grain orientation technology to produce HVX shells that deliver low, punchy tones with plenty of resonance and projection. This innovative hybrid makes them perfect for live applications. All Performance shells are cool tempered which means that once they have been baked under pressure, they are pressurised cooler to ensure that the glue instantly crystallises, and the shell hardens to a perfect cylinder. This process greatly increases tuning stability. An ultra-durable chrome shadow finish provides a shining chrome layer that is extremely resistant from scratches and wear. These finishes are designed to last a substantial amount of time before showing away form of damage or wear. The quarter turret lugs are smaller than DW’s standard turret lugs which provide a much smarter aesthetic. These lugs are small enough to avoid blocking any of the stunning chrome shadow finish on the drum shells. The perfectly round hoops are of an extremely high quality and feature a silky-smooth finish with no rough spots along their edges or undersides. These hoops provide a versatile sound that suits all types of players from jazz and funk to rock and hip hop. Steel Triple Flange Hoops come in graduated weights (1.6mm for 8'' & 10'' toms, 2.3mm for 12''-18'' toms). 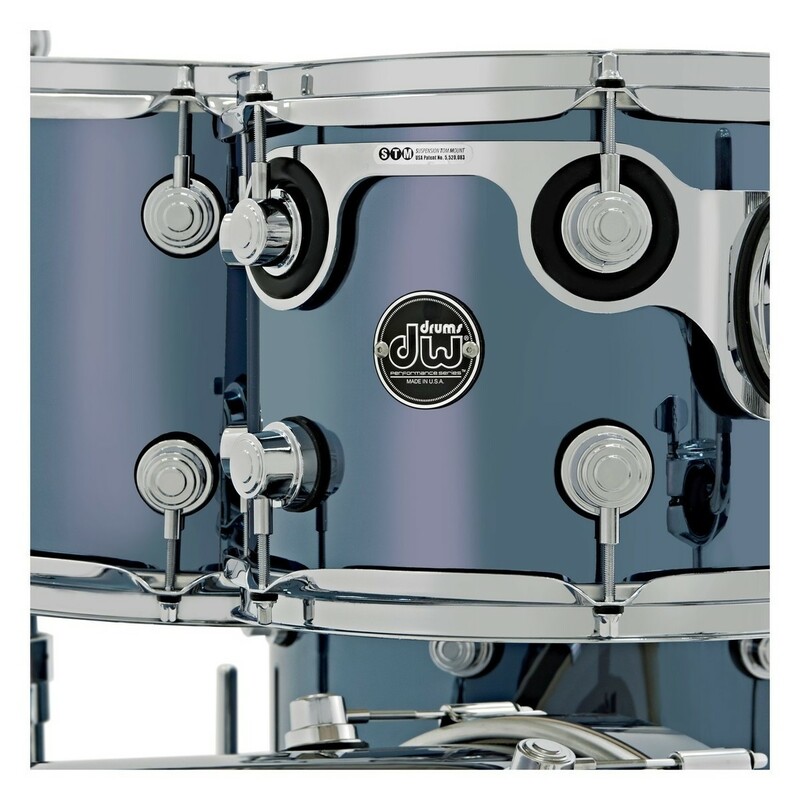 DW Performance Series drums come standard with a set of heads made specially for DW by Remo USA. The bass drums feature coated/clear batter heads (with inlay ring) and ebony resonant logo heads (vented). Toms come standard with coasted/clear batter heads and clear resonant tom heads. The coated/clear heads incorporate a coated tone ring for just the right amount of muffling with plenty of resonance. Crimped flesh hoops provide maximum vibration and durability. The all new MAG finish has a purposefully simple design with a chrome finish. The MAG throw-off features a horizontal tension adjustment and a smooth easy-adjust action. A clever magnet is integrated into the body of the throw-off which prevents the throw-off from releasing if you accidentally knock it. When the throw-off is released, it throws the strainer completely off the head to avoid any strainer buzz.